Simona Nastac: How would you define your interest in Romanian contemporary art and where it comes from? How did your interest in Romanian contemporary art change through out and after the trip? Jenny Brownrigg: I work in an educational environment at Duncan of Jordanstone College of Art and Design in Dundee, Scotland, running gallery spaces and a programme that directly relates to supporting teaching activity, professional development and aims to explore the creative, social and educational impact of contemporary arts practice. My interest in Romanian contemporary art has stemmed from an aim to research the art infrastructure for contemporary art practice in Romania, in particular for young artists and recent graduates from art academies, and to see what comparison can be drawn between this and the current situation in Scotland. From an initial contact in May 2005 with Meta Cultural Foundation Director Romelo Pervolovici at an International Jury in Cork for ‘Pépinières européennes pour jeunes artistes’, an international residency programme for young artists, I found out about Meta Foundation’s creation of the Biennial for Young Artists in Bucharest. An invitation to present a paper on Scottish and UK young artists at the symposium ‘Artistic Discourses / Curatorial Discourses’, combined with the award of a place on Visiting Arts London’s recent curators’ trip, brought me to Romania. The trip itself really helped contextualize the current climate for contemporary art in Romania. By meeting key people from art organisations, independent curators, publishing and of course artists, we were able to gain an insight into the historical background and present contributing factors that shape the production of contemporary art in Romania. The trip itself was an intense time of gaining these snapshots into individual organisations and practices –the time after the trip has allowed the distance needed for making comparisons and draw out common themes between the presentations we were given. Rather than a trip to purely see artistic practice it turned out to be more important for organisations and individuals to present to us a background – historical and social – to place themselves in relation to and to explain that these factors were needed in order for practice and programme to be understood and to evolve. S.N. : Have you seen works by or met Romanian artists in the UK or in international art events before coming to Romania? J.B.: Before coming to Romania the only Romanian artist I was aware of was Dan Perjovschi. This was firstly through geographical nearness with his post as unofficial artist-in-residence for Edinburgh Festival at Collective Gallery, Edinburgh, Scotland. Secondly I was aware of his practice through his two person show with Nathaniel Mellors at IBID projects, London; Exhibitions Dept has worked with both Mellors and IBID projects at Cooper Gallery, Dundee. Again, through my contact with Romelo Pervolovici at an International Jury in Cork for ‘Pépinières européennes pour jeunes artistes’, an international residency programme for young artists, I found out about Meta Foundation’s creation of the Biennial for Young Artists in Bucharest. S.N. : You visited Bucharest, Iasi and Cluj, the most active contemporary art centres in Romania. What, in your opinion, were the situations and scenes for contemporary art in these cities? J.B.: I was really excited on our meetings with artists, curators and directors to see how much of a catalyst their energy was for building and developing their respective projects and organisations in order to shape the infrastructure of contemporary art in Romania and to develop it for current and future generations of contemporary artists. Each person was very aware of his or her role in the Romanian infrastructure and how it could change or feed into the current situation - this was inspirational, with all responses very forward-looking. It became very apparent that most involved knew they were the first generation of curators, organisations and artists that were all-important in shaping a contemporary visual art landscape for Romania, both externally in Romania and in presenting the face of Romanian contemporary art to an international audience. The situation that nearly all artists, curators and directors talked about was the need, as Matei Bejenaru of the Vector Group put it, to ‘know who we are and to gain an understanding of how this art system is working’. Many of the practices or organisational strategies we were introduced to centred on this questions; the solutions of many over the last ten years tending towards the establishment of information exchanges in order to produce a discourse and to create a space for this to happen in – whether it was Lia Perjovski’s database of recent contemporary art history with CAA and subsequent newspapers and their informal distribution networks; the creation of the ‘periferic’ biennial in Iasi to bring models of contemporary art practice to a city that had not experienced such work as primary source; or artist Ioana Nemes ‘The Wall Project’ where she analysed her own art production through documentation and self-interviews. I was also intrigued by the company ADD in Bucharest who has a vital role to play in professional development of young artists and the sustainability of the contemporary arts scene in Romania by providing knowledge and support to individual young artists and also through fostering collaborations and information exchange between the business and cultural sectors. In Bucharest, many of the artists and organisations made reference to their relation to and position towards The National Museum of Contemporary Art. Issues relating to this kind of state funding and opinions on what kind of a platform this institution provided for Romanian contemporary art practice and its legacy, were high on the agenda in most conversations. In Iasi it appeared important that Matei Bejenaru’s role was also as a tutor at the art academy, as he was very aware that he wanted to actively advocate contemporary art practice to students that otherwise had the danger of being, ’trapped in traditional art’. He jokingly referred to himself as being part of the ‘Trojan horse in the Academy’, in reality providing a much-needed parallel visual education. Tantamount to the creation of an information exchange and discourse, and creating a ‘normalcy’ of environment for Romanian contemporary art to flourish in, was the desire to establish a viable identity for Romanian contemporary art, that was aware of, but was not the same as Western contemporary art practice. Strategies which looked likely to pay off were such as those in Iasi where the Vector group were looking to set up exchange and residency opportunities with other emergent countries in eastern Europe (as opposed to Western Europe) such as Serbia, where artists are still not allowed to travel from so their art is relatively unknown, and cities such as Kiev and Odessa in Russia in order to explore if there is a common cultural vernacular. Unfortunately I did not get to visit Cluj as I was struck by a 24 hour sickness bug so had to lay low in a hotel in Bucharest on the day my colleagues visited Transylvania. S.N. : What do you think about the relationship between state-run/funded art institutions and independent initiatives in Romania? J.B.: From our meeting with Dr. Virgil Stefan Nitulescu from Ministry of Cultural and Religious Affairs, it was voiced that there was the beginning of an overhaul of a scheme to fund art organisations and artists, which would be a positive step forward. The Ministry’s main aim seemed to be more geared towards funding Museums to put them on an international platform with their contemporaries, rather than in developing a climate for contemporary arts practice through the funding of this sector. However the Ministry’s direct involvement in the Romanian Pavilion at the Venice Biennial suggested that there was a desire to explore investment in contemporary arts practice and to view contemporary art as important in promoting the cultural activity of Romania to an international audience. On the face of it, the current position we experienced on our visit was that most state funding had gone to the establishment and up-keep of The National Museum of Contemporary Art, with independent initiatives receiving little or no state funding and being sustained by private means. The financial situation of being an artist was practically untenable for most young artists on graduation; with no state funding or provisions of studio space to sustain them. Artists such as Ioana Nemes were working from their parents’ homes or had gone into parts of the wider creative industries such as advertising or communication for full-time employment. S.N. : How did you find the local art production and its historical, social, and economic contexts comparing with those in the UK or in the West at large? J.B.: Currently in Romania there appears less investment from the state in the infrastructure of local art production, with sparse funding to apply for and no subsidised facilities for making art; all independent artists and organisations had to rely on private means to sustain production. In making a direct comparison, in Scotland there are several tiers of infrastructure to aid the development of artists on graduating. Wasps Artists' Studios is a charity providing affordable studio space to support the careers of over 500 artists working in Scotland today. As one of the UK's leading studio providers, Wasps provides a network of studios from the Scottish Borders to the Shetland Isles. Committed to keeping artists in Scotland, Wasps has raised £7 million from the public and private sector to invest in studio buildings and currently owns 4 buildings in trust for the Scottish arts community. The majority of building has been renovated through regeneration schemes, for example in Dundee the current studio building used to be a mill for the production of Jute, one of the city’s now-defunct industries. There are several other independent studio initiatives such as Glasgow Project Rooms and Le Chateau that provide a sliding scale of affordable artists’ studios. At best these studio provisions provide a ready-made community reminiscent of an art college environment where the producer is surrounded by activity and contemporaries, rather than being isolated. Studios in peripheral Scottish cities also to some extent stem the haemorrhage of graduates to the main cities of Glasgow and Edinburgh. Economically the main funder of contemporary visual arts in Scotland is the Scottish Arts Council, its Visual Arts fund providing funding for both individual artists and arts organisations and arts workers for professional development costs. For artists there is the Individual Artists’ assistance grants scheme of up to £2000; in conjunction with local authorities SAC also provides a small grants scheme to artists of up to £1000 in Aberdeen, Dundee, Edinburgh and Highlands & Islands; and SAC awards a small number of up to 4 artists a year with £15,000 to develop their work over a longer period. SAC provides core funding for 28 arts organisations ranging from £20,000 to nearly £300,000 per annum, amounting to over £3 million in 2003 / 04. The core-funded organisations are geographically diverse, with SAC core-funding 4 in Highlands & Islands region, 2 in Aberdeenshire, 1 in Dundee, 1 in Fife, 9 in Edinburgh, 6 in Glasgow, 5 organisations with a national remit as oppose to a gallery space. It should be noted though that contemporary Visual Arts, through SAC, receives only 7% of funding for The Arts from the Scottish Executive, with Performing Arts (national orchestras, theatres, and ballet, receiving by far the lion’s share. SAC also provides funding on a project basis to arts organisations and also runs an artists residency scheme in Amsterdam and is looking to develop a similar scheme in New York. 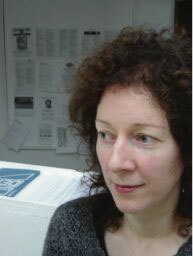 SAC also co-funded for the second time running Scotland’s Pavilion at the Venice Biennial 2005. Another difference in local art production was the apparent lack of small networks in Romania of artists on graduation setting up their own initiatives and projects such as artist-led organisations. In Scotland, following the model of Transmission Gallery in Glasgow (www.transmissiongallery.org), an artist-led organisation whose space was set up in 1983, there is a proliferation of other artist-led gallery spaces including GENERATOR projects in Dundee, established 1996; Limousine Bull in Aberdeen, established in 2000, (www.limousinebull.net); and The Embassy in Edinburgh, established in 2004 (www.embassygallery.co.uk). It was interesting to note that this is not a model that has been freely developed in Romania, with only the Vector group being the one alternative. The artist-led model provides a space on graduating for artists to develop all skills related to professional development with experience in fund-raising, curating, marketing, gallery administration and press & publicity through their running of a viable gallery space. It also provides a space simply for artists to meet and have the opportunity to create a peer influence, again like the studio, cushioning the artist with an immediate community on graduating. These artist-led organisations were set up through their dissatisfaction with a lack of exhibition space and opportunity for young artists in the environment they were living in. Arts funders realised that such artist-led organisations were viable concerns for them in promoting creativity, the arts and other cultural activity in diverse geographical areas so as a consequence have been funding them, either as core-funded or project-funded, as they met the criteria of their main aims. I also found Galeria Posibila and H’Art Gallery’s presentations interesting as both organisations are aiming to provide Romanian contemporary artists with a viable commercial channel. Scotland has over the last five years established an international profile for contemporary art primarily through the energy of Glasgow artist-led projects and galleries in Glasgow and the establishment of commercial galleries over the same period for contemporary art. Previously Scotland apart from certain individual artists such as Douglas Gordon had not been seen as a focus for contemporary art production, with the spotlight falling on London. In Scotland, the establishing of The Modern Institute (www.themoderninstitute.com) by Charles Esche, Toby Webster and Will Bradley in 1997 has had great impact on the artist community in Scotland, particularly Glasgow, as it was the first commercial gallery for contemporary rather than traditional art. It has made the Scottish-based artists from its ‘stable’ of over 30 artists more commercially viable in their practice and has been key in increasing Scotland’s visibility and international identity through promotion of contemporary art at national and international art fairs. The Modern Institute has laid the way for other commercial galleries such as Sorcha Dallas, Glasgow (www.sorchadallas.com) and Doggerfisher, Edinburgh, established 2001 (www.doggerfisher.com). On a light note something Scotland is to share with Romania is that Edinburgh is the next recipient of the Cow Parade in 2006! S.N. : What do you think is missing here on the level of art practice, conceptual and visual discourse, and cultural policy? Are there elements that you find more desirable within in Romania than in the UK? J.B.: See above for first part of this question – to part about artist-led initiatives and networks and studio provisions and funding for individual artists and organisations – this is what I would perceive is lacking. I think that the energy and commitment of artists, curators and arts organisations as they see themselves as first generation to be able to make a difference and a commitment to contemporary art in Romania was inspiring. This was a desirable approach because sometimes there is a tendency towards individual progress rather than group progress in the West. S.N. : What is in excess? In your opinion, are certain areas of contemporary art in Romania over-saturated and others lacking? If so, what areas do you see this within? J.B.: Again for the certain areas lacking see question 5 answer – namely funding and artist-led networks. What appeared to be viewed as an excess by the independent organisations and artists we spoke to, particularly in Bucharest, was the funding for the National Museum of Contemporary Art; the result of most funding going to this organisation rather than towards funding the development of the Romanian contemporary arts network of venues as a whole was one of imbalance. The National Museum of Contemporary Art through its physical position and through its remit appeared to be on the defensive and quite isolated from the network of other art organisations through the choices that had been made over the period of bringing it as an institution into fruition. This was visibly apparent in the exhibition ‘This is Not an Exhibition’, where the lead curator had included all the negative public comments over their perceived lack of strategy for a collection of Romanian Art in the actual exhibition as interpretation- it is interesting that they have assumed a position of reaction to dealing with such criticism. S.N. : Could you speak about a local specificity in Romanian contemporary art? Does it have a certain identity mark you could name and recognize it? J.B.: I think one strong feature of Romanian contemporary art as mentioned before is art practice that centres on the ideas of ‘information exchange’ and in creating a climate for discourse. Some practices subvert ‘information exchange’ such as Matei Bejenaru’s project, the ‘Travelling Guide’ providing exhaustive information for workers of how to get into Britain. Others such as Lia Perjovski set up a database and information distribution in the form of free newspapers to help make sense of and contextualise the Romanian artist’s position in relation to recent contemporary art history. Both examples are art with primarily a relevant social and critical function rather than aesthetic. Another interesting movement that the Vector group and H’Art Gallery talked about was the switch in artists’ work from examining traumatic to humoristic. This understanding gave a very different reading of the work we were shown, especially at Vector where I am thinking of Vlad Horodinca’s photograph of his performance in 1998 of doing a headstand with his head buried in the ground. Work looking at performance and the humoristic is a strong element in UK contemporary art at the moment and this piece really reminded me of Marcus Coates early video work where he buried himself in the ground to become part of the landscape. However when Matei Bejenaru (and also Lia Perjovschi) talked of the body being the only thing that was still owned by the person and not the state, and that performative work in Romania in the 1990s through ritualistic performance was dealing with the trauma of recent history, this information added a depth to the work which is different from recent performative work in the West where a similar piece of work would be about trying to become ‘other’, in Marcus Coates case the landscape, rather than dealing through the ‘self’ with an outside force. The final case of local specificity I would mention is a number of the organisations were looking at arts and business as an area to operate within, both creatively and to develop an investment and understanding between the two sectors. Galeria Posibila had targeted corporate as the market they wanted to develop for making businesses into collectors; ICCA in the future was moving premises to share a complex with 4 business-orientated concerns; ADD is directly working to facilitate an understanding between contemporary art organisations and practitioners with business and Razvan Ion states a belief held by most that developing ties with business rather than government was the way forward for investment in contemporary art. S.N. : Do you have any suggestions to make to specific Romanian artists, curators and institutions? An interesting presentation in their gallery space talking about the physical way the white cube is changing and how they formally evolve the gallery space through the use of bold colour over the duration of their programme – this approach with colour suited the domestic proportions of the gallery space. The network of represented artists the gallery was building also had a strong identity; the most important factor was the way in which this gallery was championing its artists and giving them the physical space to develop their practice in the gallery space – at the time we were there was an installation, ‘formula 1’ by Gili Mocanu, the wall paintings seemed an intriguing development from images of his other paintings we were shown. In a city infrastructure where space is not easy to come by, such a gallery interested in developing opportunities and providing freedom for artists to work within is invaluable. Galeria Posibila is also targeting a corporate Romanian market in order to build the foundations of an audience that will collect work. The gallery director spoke also of beginning to take the gallery to international art fairs – this will be important in building a profile and in establishing a commercial network where much can be picked up from the experiences of other such galleries. One of this presentation’s main focuses was on the role of the Romanian media in relation to contemporary visual art, with the gallery director Dan Popescu presenting the example of Dumitru Gorzo’s project ‘Gorzo’s Cocoons’ where strange figurines were sited all around Bucharest and how the media had picked up on this with their conjecture leading to the creation of several myths of how the figurines got there and what they signified. This kind of off-site intervention appeared a rich vein for the gallery to pursue, in conjunction with their gallery-based programme as it challenges perceptions of contemporary art and its place in society. It also appeared an especially appropriate approach, as the Gallery Director was keen for work to explore such areas of potential controversy. Again building on the representation of their gallery at Bologna Art Fair, like Galeria Posibila this gallery can only build in experience of promoting their artists to an international as well as national audience through the system of the art fair. We met Dragos Olea at a meal on our first night and Simona Cretescu on our last day in Bucharest. This company has such an important role to play in developing the infrastructure for sustainability of contemporary art practice in Romania. Their research resulting in the publication ‘Business Attitudes on Arts Sponsorship in Romania’ is invaluable in helping represent contemporary visual art to other sectors and in developing connections between art and business. The kinds of information they are putting together to make public are key in providing creative solutions to issues of professional development, sponsorship and marketing. At a time where concise information is not widely accessible on such matters, their clear concise documents are invaluable to bringing understanding to practitioners, organisations and potential business sponsors. I liked very much how they created opportunities for working across disciplines and cross-collaborations including the informal mentoring of young artists – as an example I refer to the design of their sponsorship book by Ioana Nemes. Their future development of their office into a database and alternative exhibiting space also is an exciting development in their building of resources. And they have a good business card! For their own reference they have maybe looked at the UK website Artist Newsletter runs but this company based in Newcastle provides a great resource for artists on professional development issues and may be helpful to look at: http://www.a-n.co.uk. I am sure ADD can make good connections here if they have not done so already. Galeria Noua has a beautiful exhibition space. With a remit to exhibit both young and emergent Romanian and foreign artists there is a great opportunity to create new exchanges and comparisons of practice and process through such programming. The gallery has set up great projects in connection with international institutions such as an exchange of artists’ studio space with Stuttgart, an IAPSIS collaboration and links with the Swiss Cultural Programme in Romania. With independent travel often economically unviable for young artists both internally and externally, the opportunities that Galeria Noua creates are invaluable. Although primarily promoting photography, video art and multimedia projects it is a good aim to support interdisciplinary projects that show possible crossovers between the contemporary and traditional mediums. This in turn perhaps creates the opportunity to set up structures for artists to develop their practice through making work in mediums they have not tested before. It was interesting to hear in Director Aurora Kiraly’s presentation that the gallery in 2001 was established with the City Council, and although they do not fund the programme they now provide the space rent-free. There are some examples of such a collaboration with City Councils in Scotland, either through provision of space or programme funding – Dundee City Council provide the rent for Generatorprojects; Stirling Council established and core funded The Changing Room Gallery (www.stirling.gov.uk/changingroom), situated in a art deco shopping arcade in central Scotland; and Glasgow City council core-fund Intermedia Gallery, (www.glasgowgalleries.co.uk/intermedia.htm). On graduating from art college I started by volunteering at The Changing Room and it was a key turning point for me in my professional development – although I was not living in a major city and back in the parental home due to financial necessity, I was able to learn how a gallery worked, how to write a proposal as I saw all the proposals that were sent to the gallery, and also had opportunities to exhibit. This position over that first two years on graduating was a major contributing factor to keeping me involved in contemporary art practice at a time when otherwise I could have easily given up hope of finding a way into the contemporary art scene. ICCA have a great track record in creating projects and festivals that deal with the artist and community. With their ‘Expozine’ project, the director Irina Cios made the point to us that it was difficult to invite artists to get involved socially after the communist regime as the communist ethos had been that all were creators so the artist was a minority. Subsequent projects have further found inventive ways to explore socially engaged practice in a Romanian context. Again as with many of the other galleries, ICCA had the important resource of their library and database. The most exciting development Cios outlined was the gallery’s future move to a new complex that includes 4 business-orientated companies. This will provide a rich new context to look at the nature of the new space they are in and the relationship between art and business, an area that a number of organisations including ADD, Galeria Posibila and Razvan Ion, editor of ArtPhoto Magazine talked of as the way forward for investment in contemporary art. Cios also talked of an initiative to create an association of galleries in Bucharest, which would support strengthening the identity of this city’s contemporary art network and would be a desirable move forward. A UK artist Chris Evans (www.chrisevans.info) may be an interesting practice to look at as he has set up an agency to translate the visions of business leaders into sculptures for their business parks. His projects ‘Gemini Sculpture Park’ and ‘Radical Loyalty’, the latter taking place in Järvakandi, Estonia, look at how an individual’s perception of the organisation’s aims can manifest itself through art and the monument. We met Razvan Ion, editor–in-chief of Art Photo magazine, who talked about the phenomena of magazines becoming more curated than edited. In reference to the Bucharest art scene he wanted to make a new map or guide on Bucharest from artist’s point of view that sounded a valuable initiative; ICCA with other galleries had previously established a listings initiative but this was no longer in circulation. Ion stated his main interest was in the local area opening up to the rest of the world – he was the first out of the people we had met to state that he did not believe in local themes but in ‘glocalism’. Again he had identified that the way forward in funding was corporate rather than government, stating that the position he had always taken was to work outside the system. Ion also spoke of setting up a new contemporary art centre in Bucharest. The art centre he sets up will be a valuable inclusion into the infrastructure, with Ion’s strong views of the international perspective providing a new impetus into taking the Romanian art scene forward. ‘The Artist as toolkit: to produce new ideas to construct a good atmosphere and bring people together. To produce new ways to relate to each other. To construct something’. This quote is from Matei Bejenaru’s introduction to Vector Gallery and their manifesto. We learnt the situation in which the group was established by a group of artists and philosophers to activate change in order to create the basis for a local art scene, and how it was to practice art in mid to late 90s in a time where society and values were shifting and moreover in a city away from the centre which had ‘lost everything in the last 100 years’. We also learned of the establishing of Periferic, as an event, a festival and then a biennial over a period of 7 editions, in order to explore the nature of being on the periphery. Bejenaru stated that Periferic was the mechanism key in building and working in a professional context, referring to the formalisation of his own role as the realisation that he could not be both ‘a player and a referee’ at the same time thus his decision to concentrate on directing the event rather than being a participating artist. Bejenaru also stated that it turned into a Biennial because of the desire to operate on such a platform, and the strategy to do a project that referred to specificity and the city. The festival acts as a fantastic primary source to physically experience international contemporary art practice in this location. A factor in the success of the Biennial as something relevant to Iasi is that events are programmed to provide a lead-in to the Biennial in order to get the relevant information to the public. Key future strategies look very exciting – to develop a database of regional art production and practices; and to develop links with ex-communist countries such as Moldova, Serbia, Bulgaria in order to look to eastern European situations to develop a national identity of art practice and seek out common cultures. Teamed with this is an awareness of how the country will change after it joins the EU. The presentations of other Vector artists and students from the Academy were of a high quality. The first presentation of the video-piece ‘Bahlui By Night’ focused on the only river that crosses Iasi, and the desire to document the point where the tourist scene by day turns into the mythological by night. Artists I would like to suggest are the London based photographer Sophy Rickett (www.emilytsingougallery.com). Her photographs of landscape and nature in urban areas are taken in the dead of night. Her practice is to illuminate part of the area with light, so that the object takes on a mythical quality as it is revealed from the darkness that surrounds it. Adam Chodzko’s (UK) ‘Nightvision’ project (1998) asked lighting directors from theatre companies and films to light up a piece of landscape in order to transform it into their idea of heaven. Information on this artist and project is in ‘Adam Chodzko’, published by August Media, London, 1999. It may be interesting for the artist of this presentation to explore the potential of the narrative device or voice-over as a further layer in his projects to add a fictional dimension to. The last artist I will suggest to look at is Belgian artist David Claerbout who manipulates and animates photographs, often found, to inject movement and a new narrative into. A publication on him is called ‘Visible Time: The Work of David Claerbout’, published by Photoworks, May 2004. I can easily send info on these artists c/o Vector if the information is hard to find. Bogdan Vatavu’s examination of his immediate surroundings in the hostel – as he put it – ‘moving away from somewhere going to where?’ – runs in a nice parallel with Bucharest artist Ioana Nemes ‘Wall Project’, where restrictions of space can be examined through an examination of thought process. It became apparent from our first conversation at the Perjovschi’s studio followed by subsequent meetings and sightings of them that their rigorous and tireless approach manifested in their individual practices has forged and continues to develop a physical and intellectual resource that questions, makes sense of and debates the social, political and contemporary context. They are a major powerhouse and lynchpin in the Romanian contemporary art scene, activating a substantial change through their advocacy; their discourse providing a questioning forum for national and international practitioners and audience. Ioana was very professional in her presentation, and expressed ideas about her practice well. Particular areas of interest was how she was developing her practice though her engagement with different forums and mediums, such as her project in the gallery space of IDEA Magazine, and her design of ADD’s publication ‘Business Attitudes on Arts Sponsorship’. This flexibility in her practice looks like a good strategy to continue with. ‘The Wall Project’ is an obviously significant project she created which aptly illustrates charting her own process and progress independently in a parental environment with severe space constraints. Her method of self-analysis and subsequent evaluation methods brings another dimension to the theme of ‘information exchange’ that preoccupies many of the artists we met. S.N. : Do you intend to initiate collaboration or exchange with Romanian art institutions and artists in the future? If so, please give details of what these projects may entail? J.B.: Yes! Through my involvement with co-curating the young Artists Biennial, Bucharest with Simona Nastac (Ro), Oana Tanase (Ro), Branko Franceschi (Cr), and Irina Grabovan (Mo), I would aim that there will be opportunities to develop a project or event that further creates a critical and practical context for young Romanian artists to work in which will encourage professional development and that this element would be an integral part of the Biennial. I would also like to research and develop a project for the Cooper Gallery in Dundee (where I work) with a group of young recent graduates and/or arts organisation in Romania aiming to facilitate an exchange of information about sustaining art practice after graduation, which could act as a comparison of Romanian and Scottish art developed from grassroots networks. Connections here could be made to the art academies in Bucharest and Iasi to identify the graduating artists to work with. One idea would be to explore the artist-led network model through involvement of Generator projects in Dundee. I was also intrigued by ADD’s commitment setting up a knowledge base of professional development and how they mentored young artists such as Ioana Nemes who had done design work for them also in their publication on business sponsorship. Another wider area of research would be to examine the nature of socially engaged practice in Romania and Scotland/ UK. I would like to further look into ICCA’s past programme of socially-engaged practice. This could also encompass examining the shift from traumatic to humoristic through a comparison of Romanian and Scottish / UK performance art, seeing what contributing factors of history, society and economics can effect this distinction. Obviously there will be key projects or lectures that have already occurred such as Kristina Stiles lecture at CAA on ‘Cultures of Trauma’. Also an area of intrigue to me was the careers this first generation of Romanian contemporary arts professionals and artists had completed before getting involved in contemporary art. Under Caucescu’s regime, only the realms of science, maths and Romanian history were open to study. As a consequence I have been intrigued by the situation this has created in arts professionals that for instance Simona Nastac had trained as an engineer before she was free to pursue curatorial studies whilst Matei Bejenaru had studied electronic engineering. Dan Perjovschi talked of being recognised as one of the most successful traditional artists under the old regime, and then re-inventing himself, and Ioana Nemes had had a career in sports until it was thwarted by an injury. There is perhaps an area of research in finding out the ways in which the past careers and studies have in any way informed the present processes of these individuals. This perhaps would be in the form of a written output as oppose to visual. I would have to as a footnote say that my research is very obviously in its infancy but through continued involvement in the Young Artists Biennial, Bucharest, and in further research, I hope to build on this rich introduction facilitated by our recent curators’ trip.